Your search has finally ended! 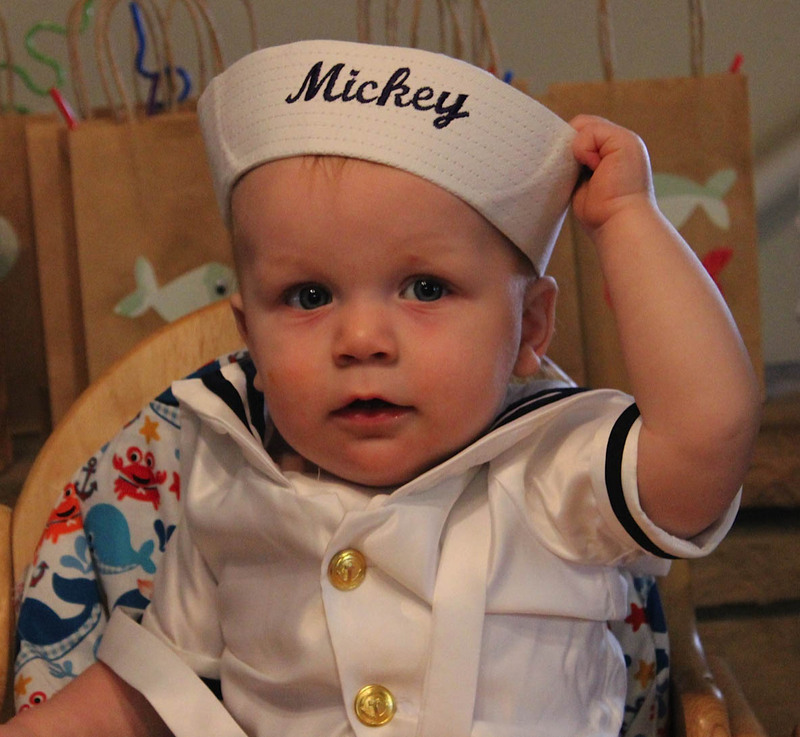 Here is the classic white sailor hat you've been asking for. This new cotton sailor hat is made in the traditional "dixie cup" style, simple and bright white. This cute little sailor hat will be the crowning touch to any sailor suit or dress. 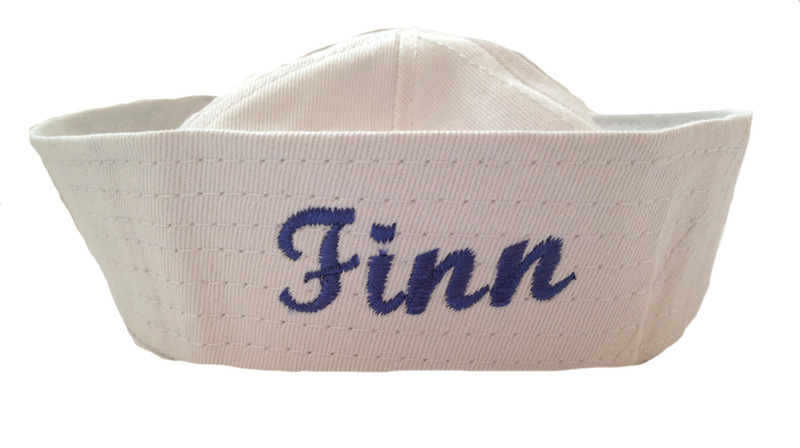 Now monogrammable with your child's first name in French script for only $15.00 more! 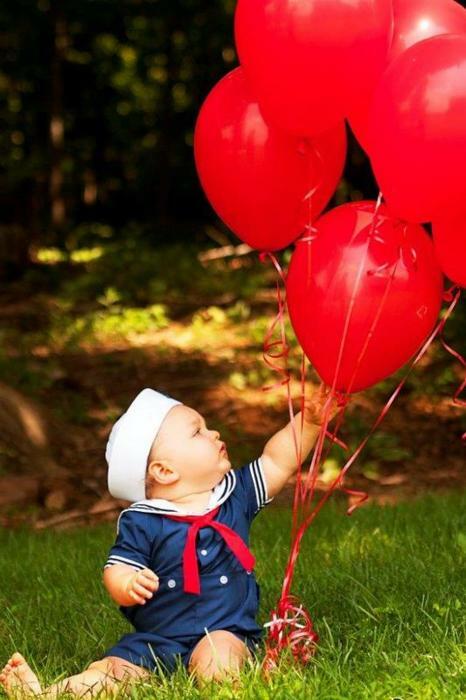 Perfect for your newborn, baby, toddler, or child sailor boy or sailor girl! See Babies' Head Sizes chart for additional information.